There are only four days left for the official presentation of the highly anticipated Pixel XL. Google will present next Tuesday, during an event held in New York, its new smartphone, the first of the Pixel line. This line will consist of two devices with specifications (and prices) from the top of the market, equipped natively with the Android 7.0 Nougat operating system, designed to compete directly with high-end alternatives such as iPhone 7. On these smartphones, the fact is that we have talked a lot about them in recent weeks, but now we know more interesting things about specifications and features. And not only that, we return to them because of the appearance on the network of a video showing a 360-degree design of the Pixel XL model, the larger of the two, which comes with a 5.5-inch AMOLED screen with Quad HD resolution (2560 x 1440 pixels). Although this is not an official video, it is more than likely that the final appearance of the device resembles the one seen here. One detail that is particularly striking is that the back of the top is thicker than the lower half (respectively 8.5 mm and 7.3 mm). The width is 75.7 mm and 154.7 mm high, slightly lower than the Nexus 6P phablet sold last year. 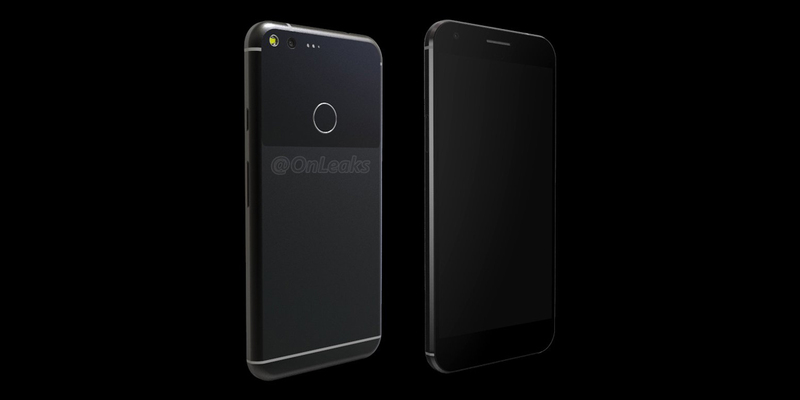 Other technical specifications of Google Pixel XL should be: the presence of a quad-core Qualcomm Snapdragon 821 processor supported by 4 GB of RAM, internal memory of 32 or 128 GB for storage, 12 megapixel rear camera and a front sensor of 8 megapixels for video calls and selfies, fingerprint reader integrated in the rear, Wi-Fi module, Bluetooth 4.2, USB Type-C port and a 3450 mAh battery. The price of lower-capacity version could be higher than the expected $ 649, maybe $ 699. Viewed this way, in contrast to the photos that have circulated recently, Google Pixel XL takes on a completely different charm, halfway between HTC 10 and something new and different, which is not often seen on any smartphone, and it features on the back two different materials. Still, we have to wait to October 4 to confirm whether the video is right to show the main aspect of Google Pixel XL.